Born José Mateu Hilario (b.1941) but more usually known as Royo, this artist, who has been painting for fifty years, brings the light of Southern Spain and the Mediterranean into his works. He is inspired by the women depicted in 16th and 17th century paintings but paints them with a more modern twist and sets them against a luscious floral background or against a blue sea. The demure gaze of the elegantly attired young ladies suggests power and a certain confidence, or innocence? This rather exciting show looks at the various similarities between the works of Joan Miró and Barry Flanagan. The common area of ground between them was a mutual interest in the concept of ‘Pataphysics – ‘the science of imaginary solutions. ‘Pataphysics was the creation of the French writer Alfred Jarry (1873-1907) and is based on the principles of metaphorical circularity and alchemical processes. 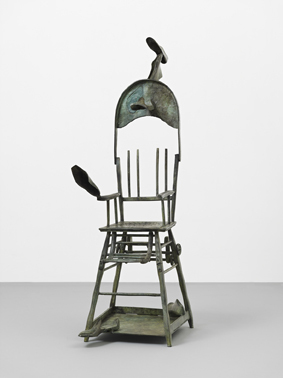 It can be expressed artistically as in these sculptures where in the case of Miró found objects become transformed into something that can appear both alien and familiar, while in Flanagan’s work a more morphological aspect is seen. Exceptions become the rule. 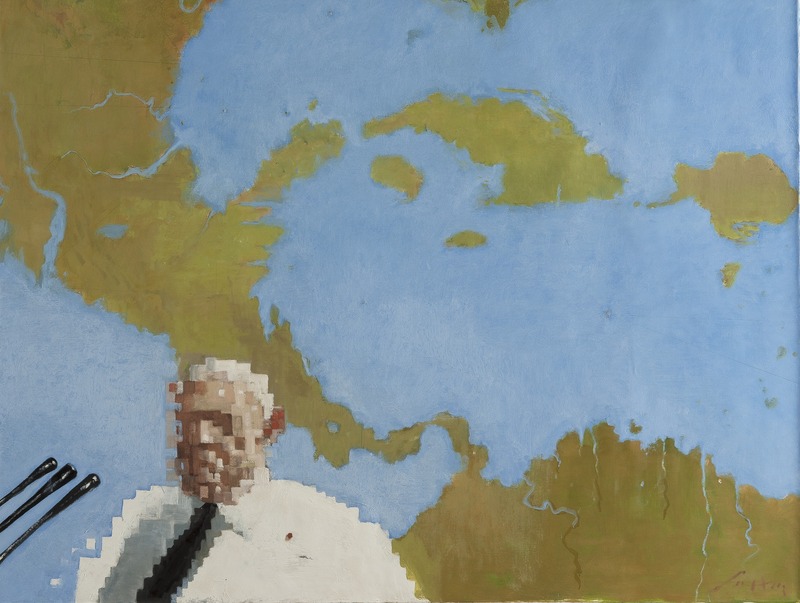 This is Cuban-born artist Julio Larraz’s first major solo exhibition in the capital. His use of colour and the feeling of mystery and intrigue found in them are part of his signature style. Even backgrounds are more suggestive of place than a true observation. Larraz observes that “I attempt to create a different reality where dreams serve as the foundations for a parallel universe”. He certainly achieves that sense of ambiguity as faces are only partly revealed, playing second fiddle to the clothing or nakedness of the figures depicted. They can create a feeling where the observer wants to be drawn in to interpret what they may be seeing or learn what a conversation may be about between figures on the canvas. Thus viewer and picture become one. 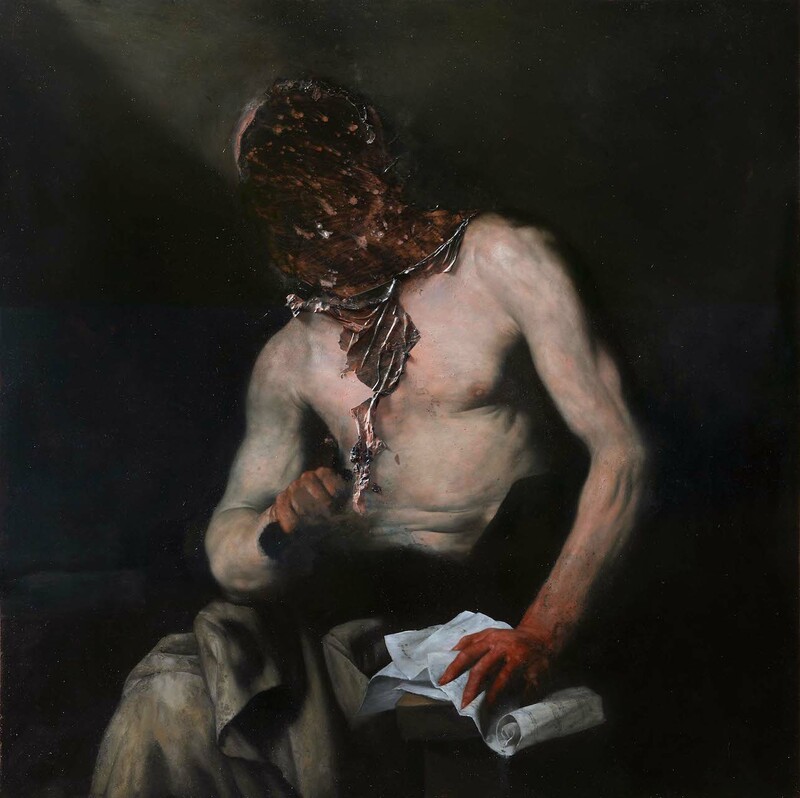 While there is a very contemporary feel to the works of Nicola Samorì one can see that he follows on in the traditions of 17th century Italian painting and sculpture. In this his first UK solo show he shares with us his thoughts on the fragility of existence and time. He reinterprets old master paintings by carefully copying the original and then adding a contemporary and sculptural touch by peeling back to reveal what is beneath, just as if peeling back skin. He similarly depicts faces, again reflecting the interest of past masters in decaying flesh. His various sculptures too are highly individual whether in onyx, marble or plaster and wax. Samorì’s works are powerful and strong and successfully achieved. 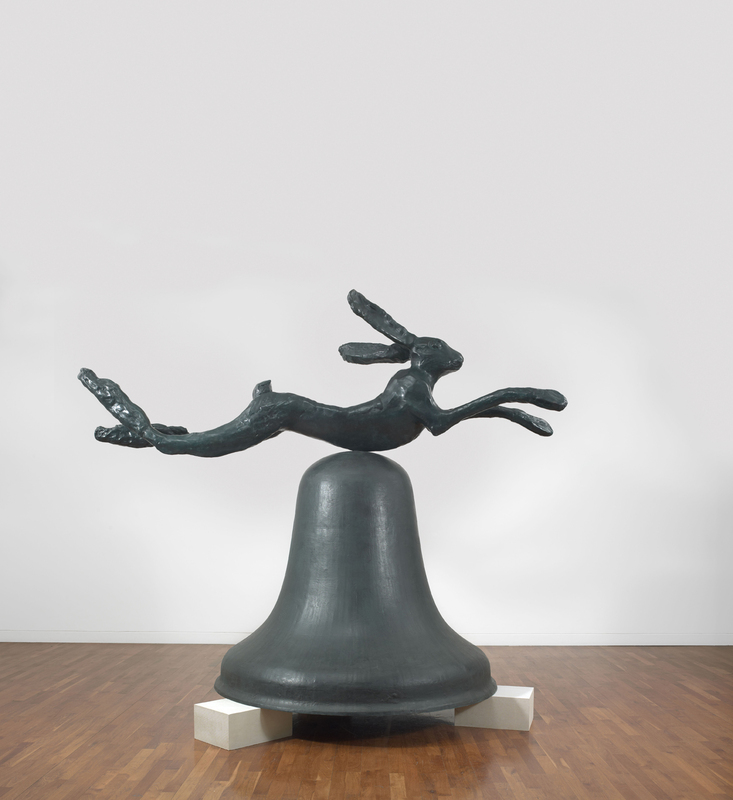 This entry was posted in Contemporary Art, Fine Art, Sculpture, Visual Arts and tagged 'pataphysics, contemporary art, European Art, Fine art, Sculpture, Visual Arts.